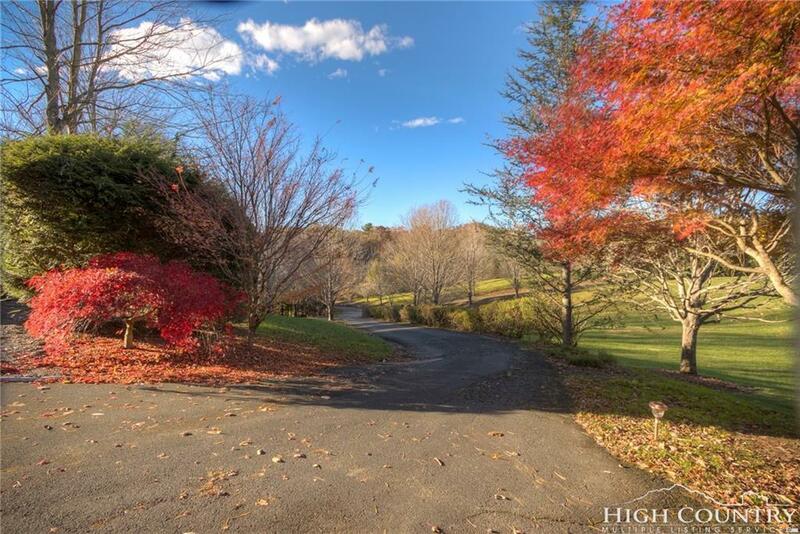 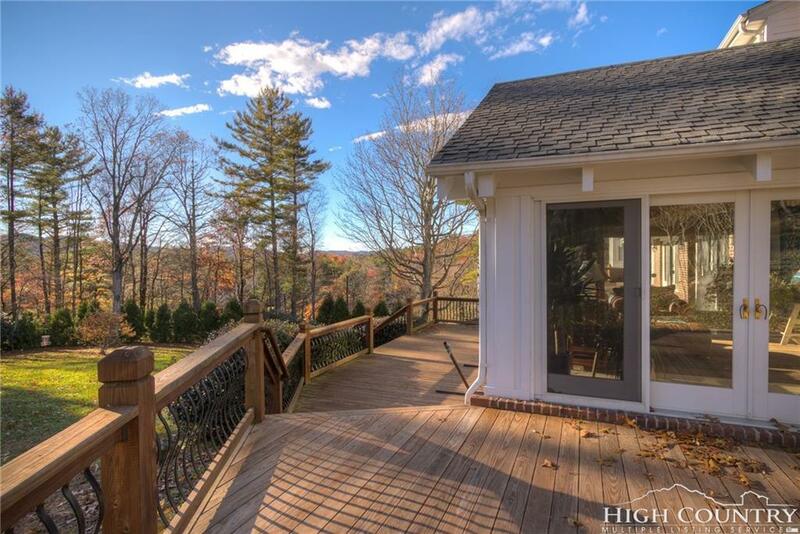 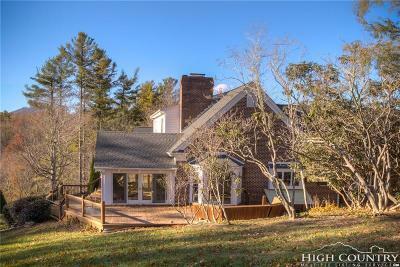 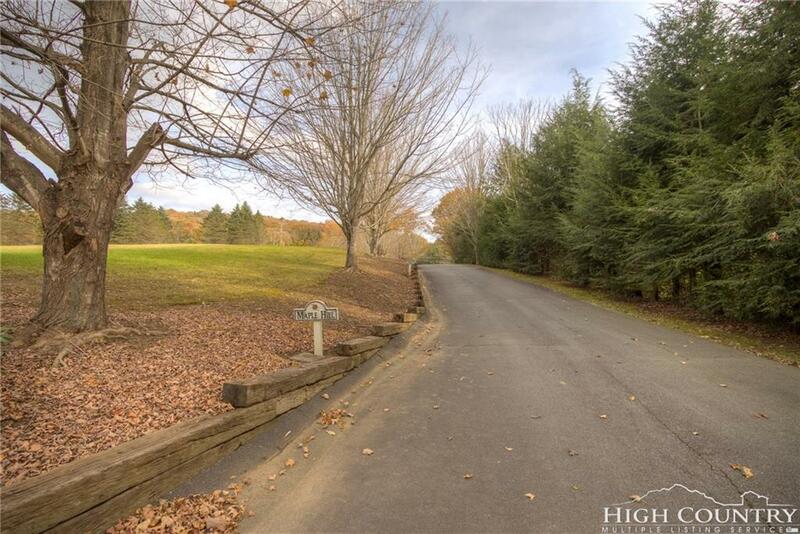 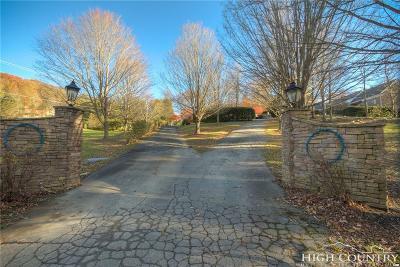 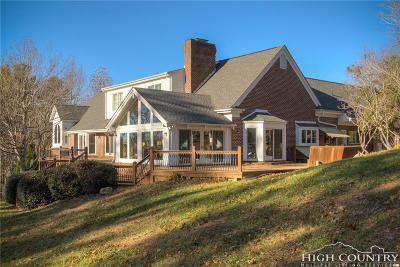 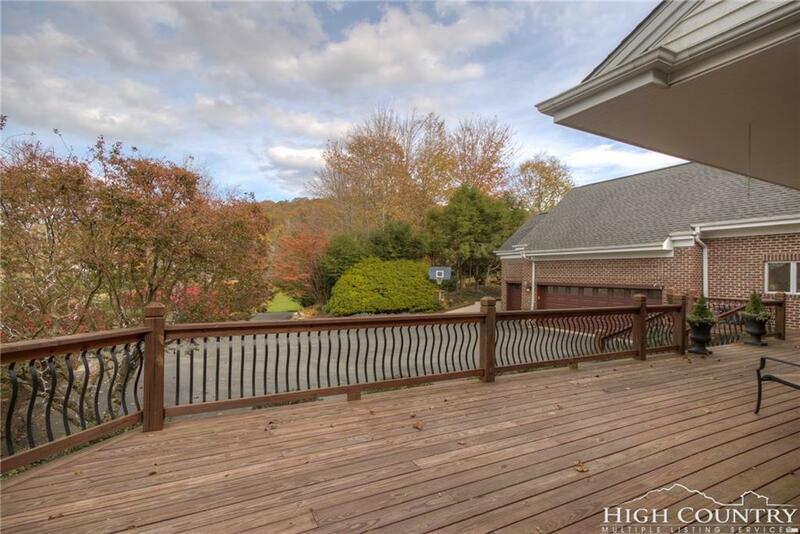 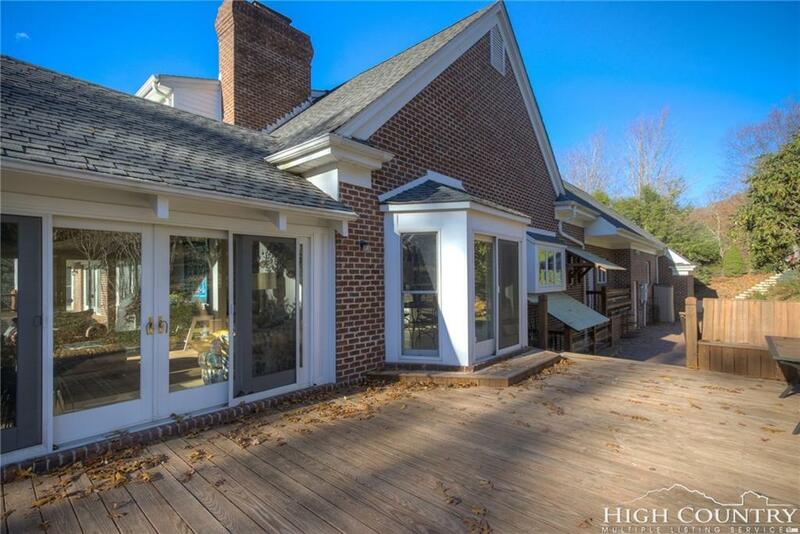 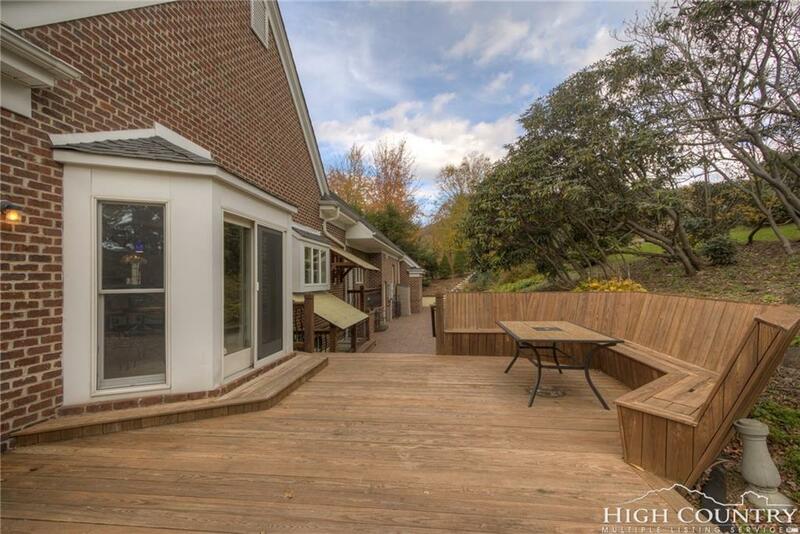 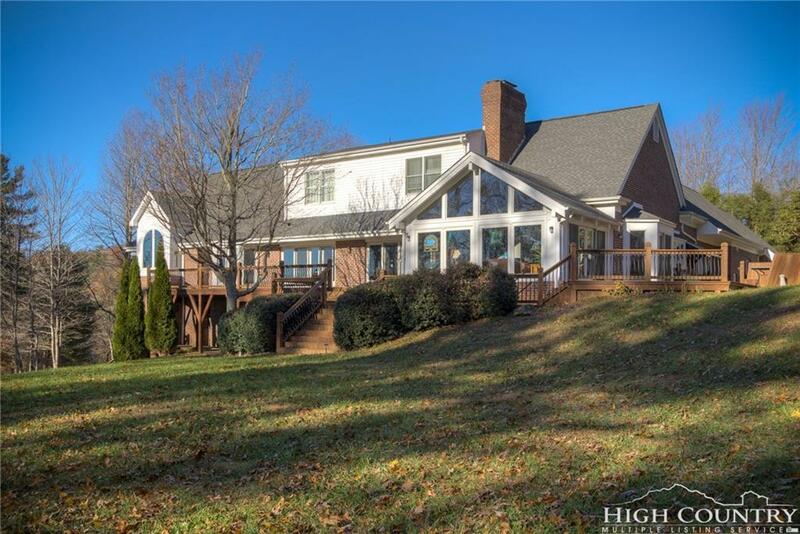 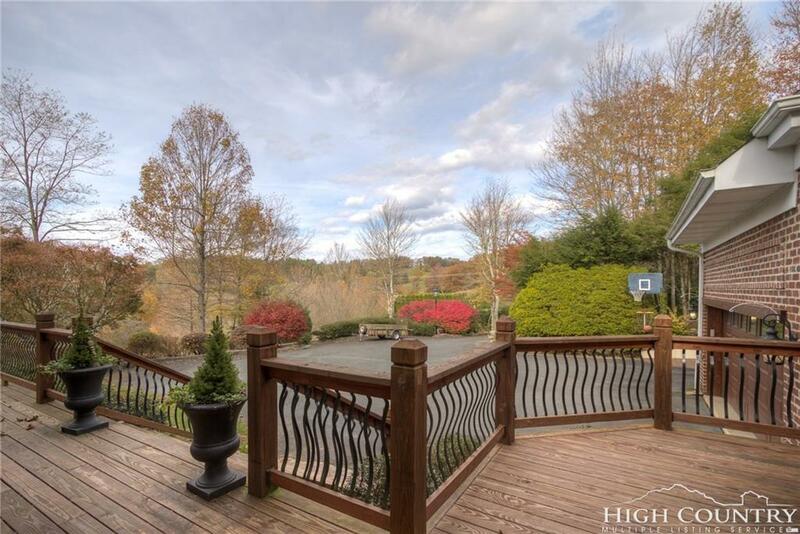 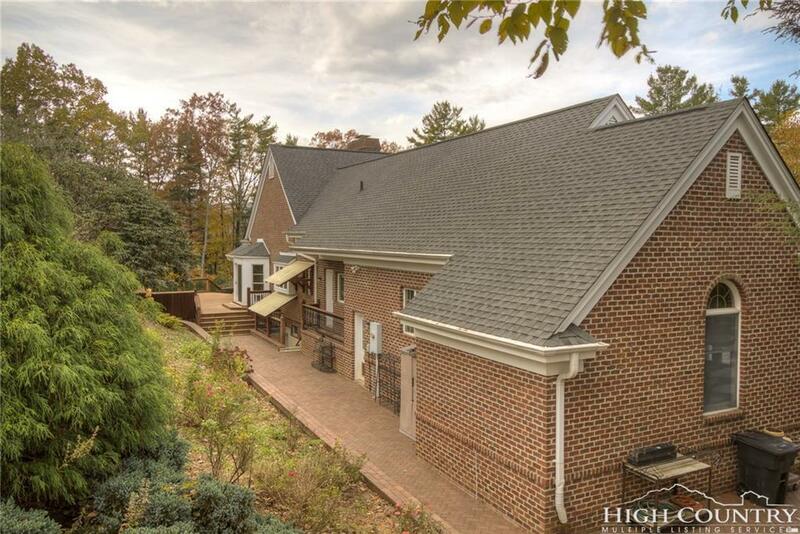 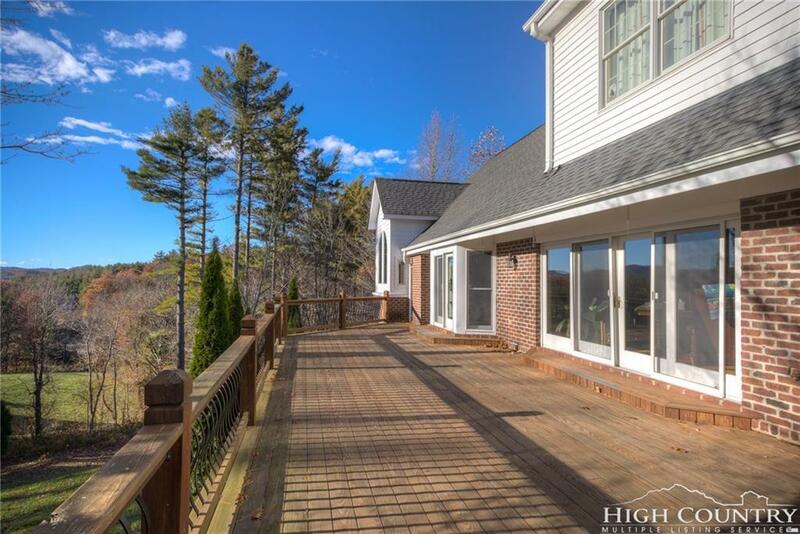 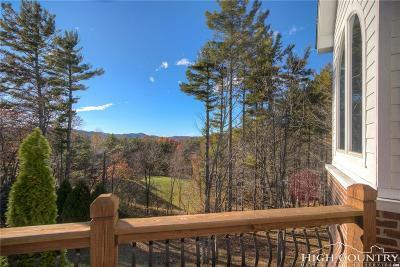 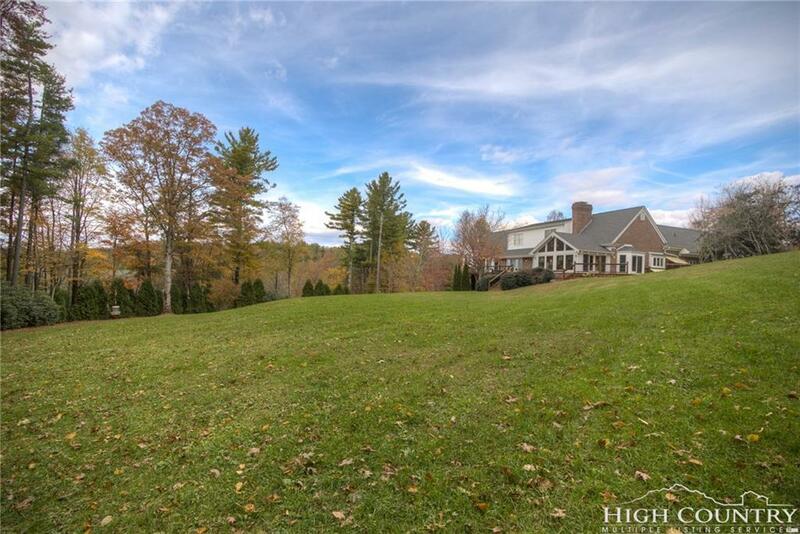 Stroll up the tree-lined driveway to your private estate in the heart of Boone. 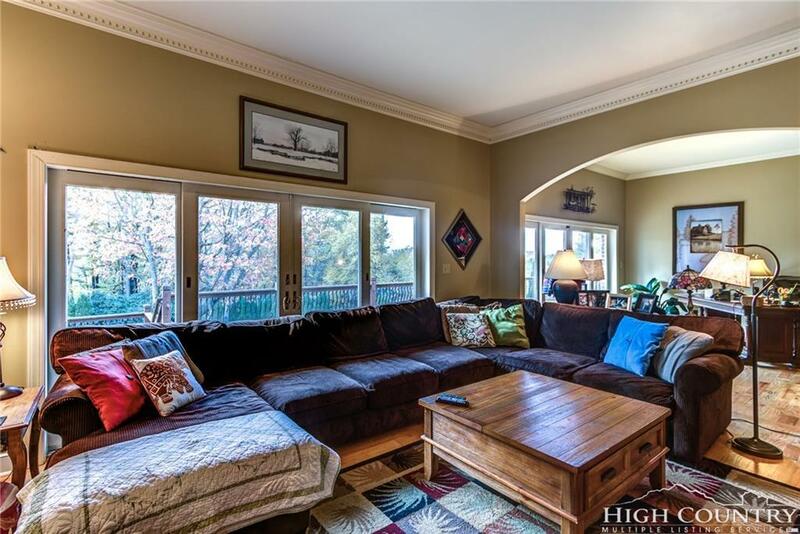 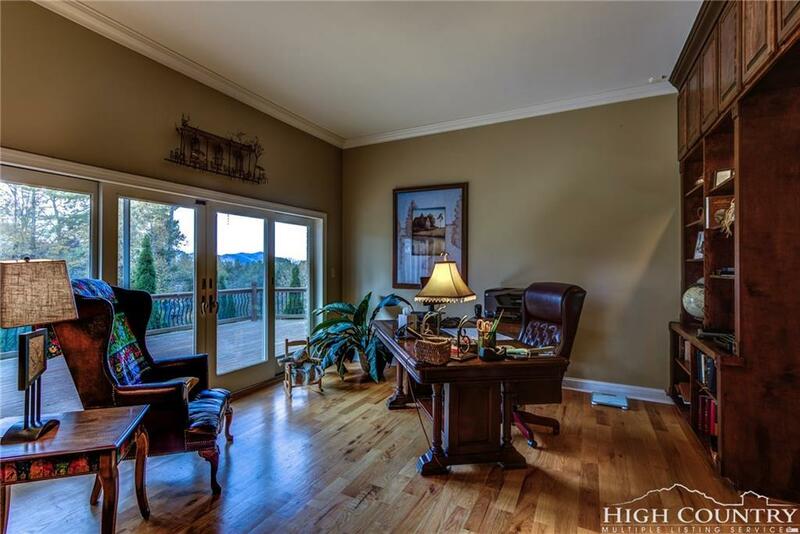 The setting is gorgeous with mature trees and landscaping, mountain views and an expansive grassy lawn for multiple outdoor recreation opportunities. Low maintenance brick siding with multiple open and covered decks on all sides of the house. 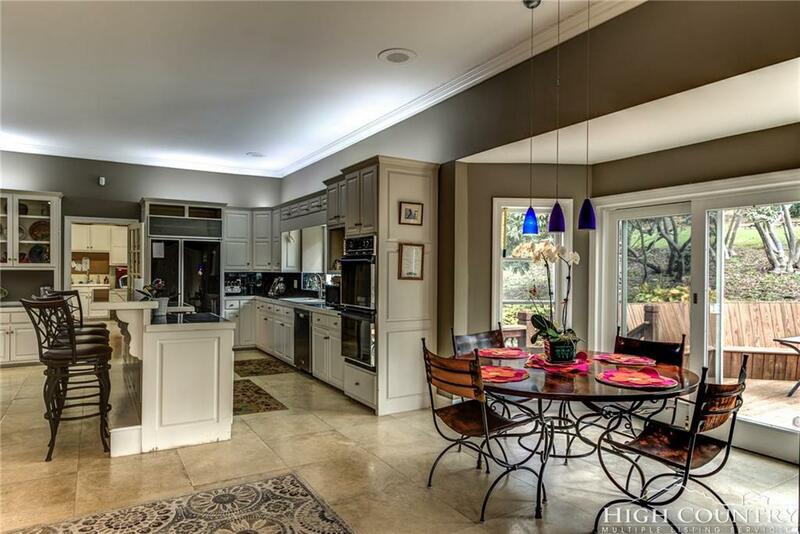 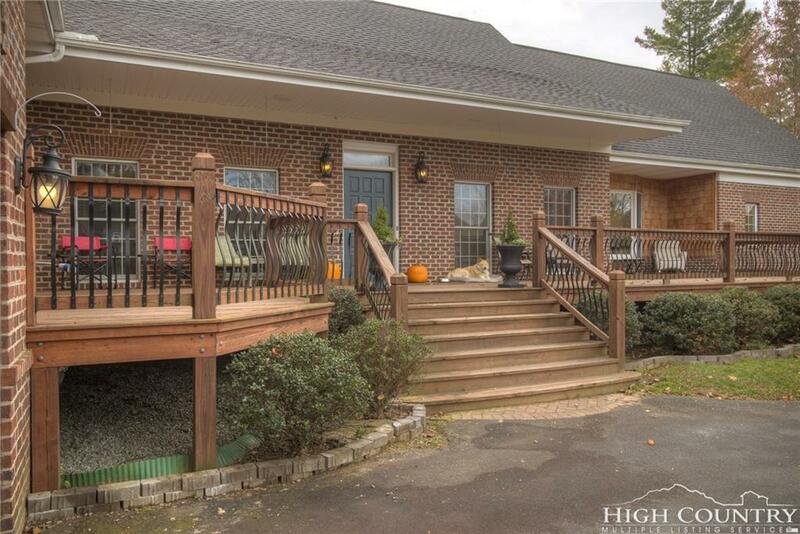 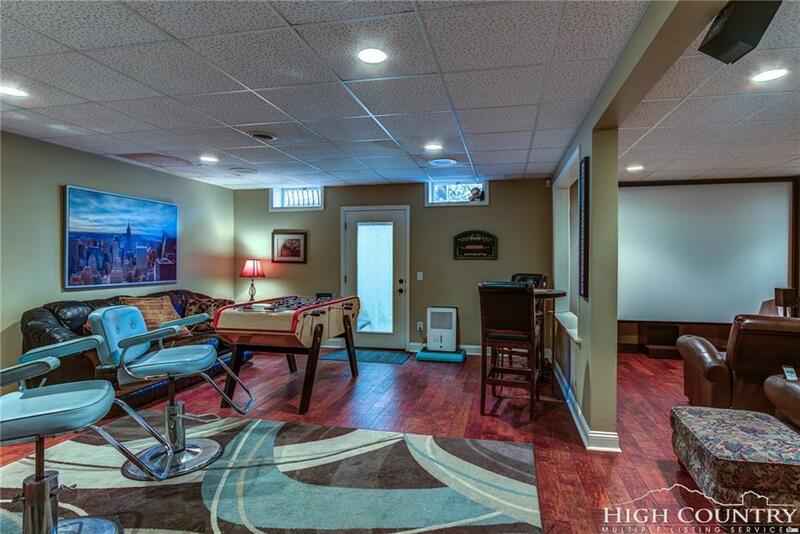 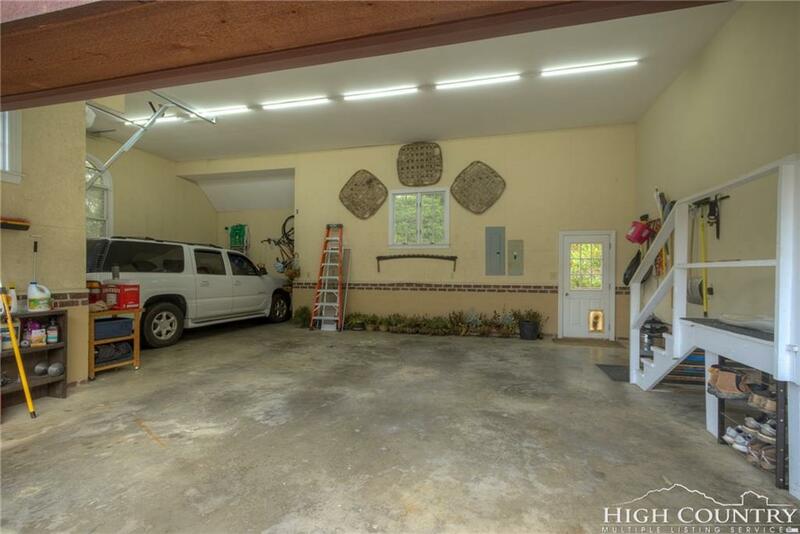 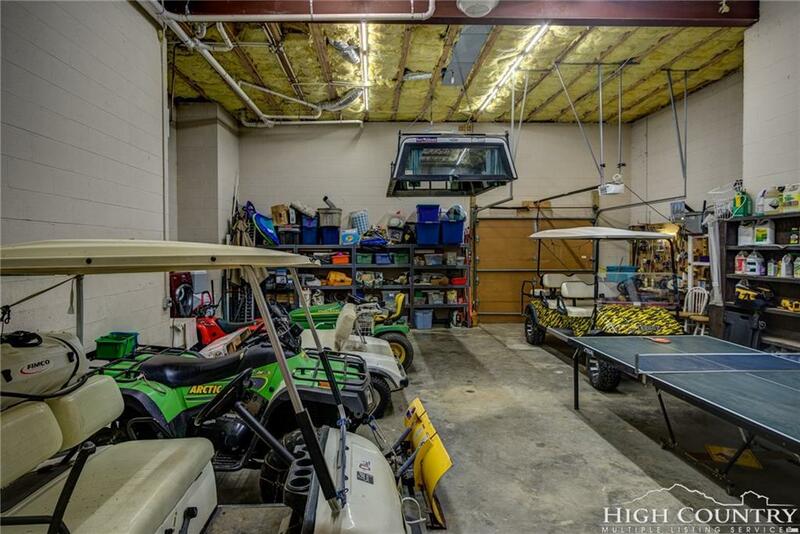 This home has a 3 car garage on the main level and a huge garage on the lower level for equipment/car storage. 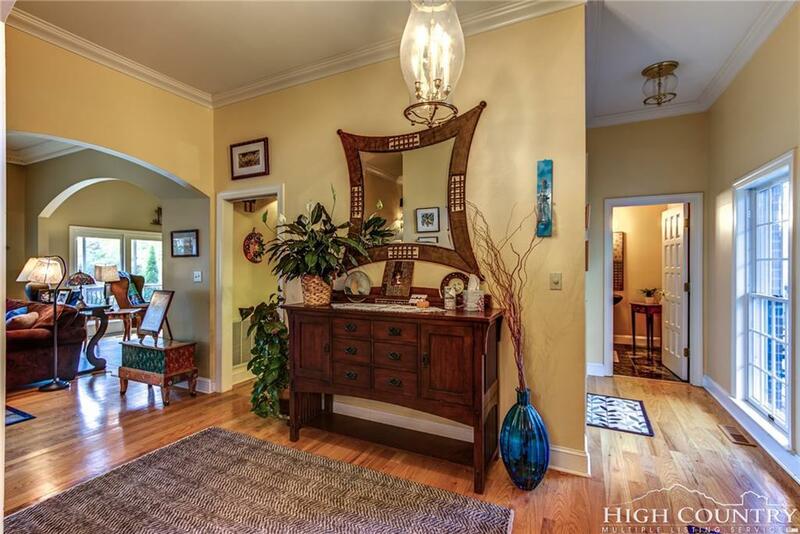 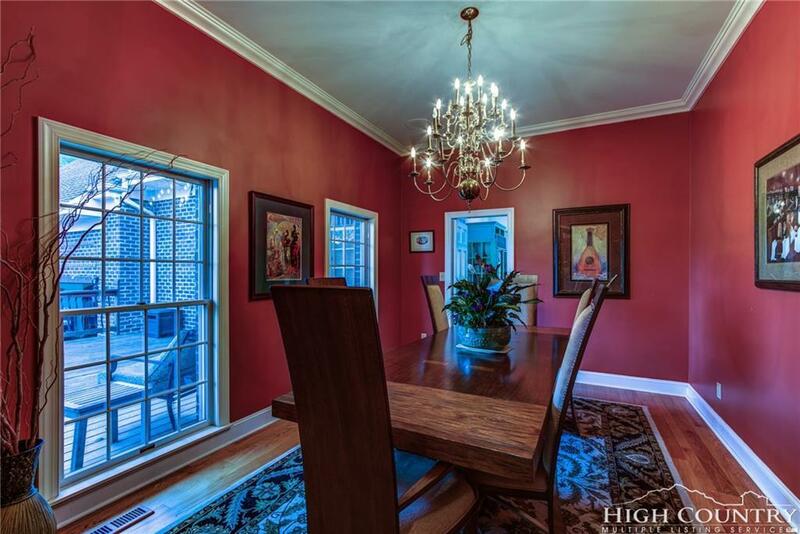 Inside you'll find a welcoming foyer with formal dining and a living room that opens to the deck. 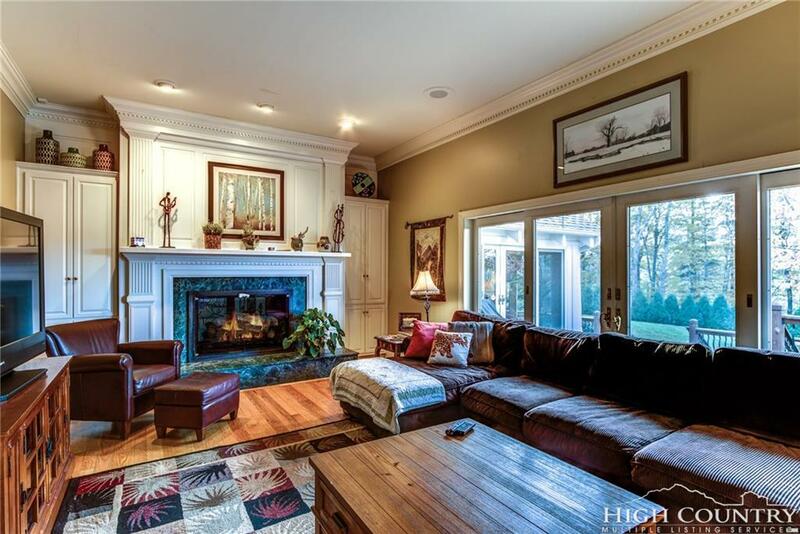 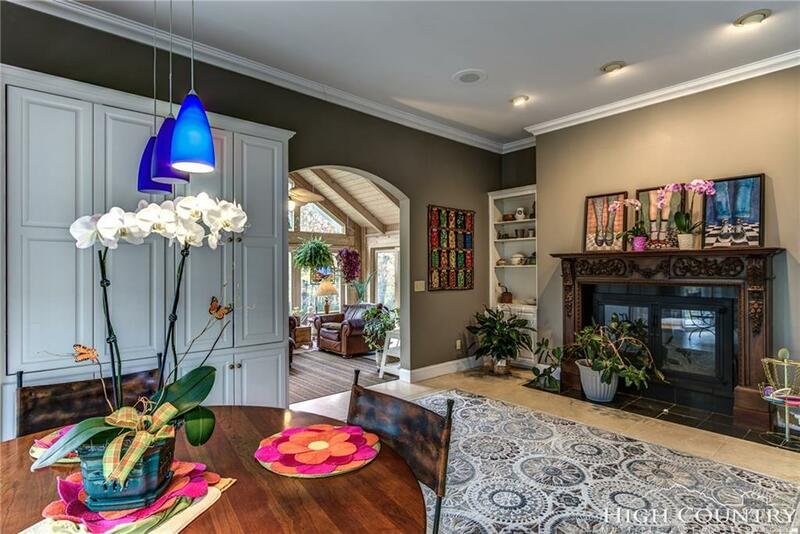 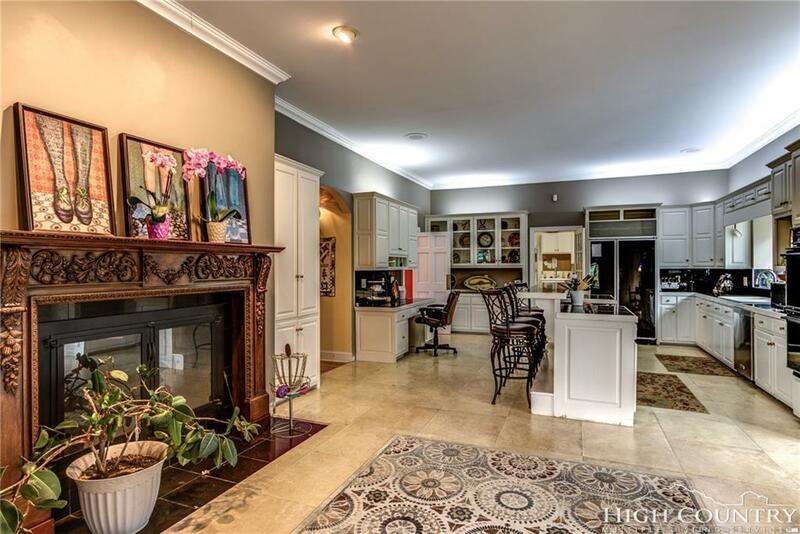 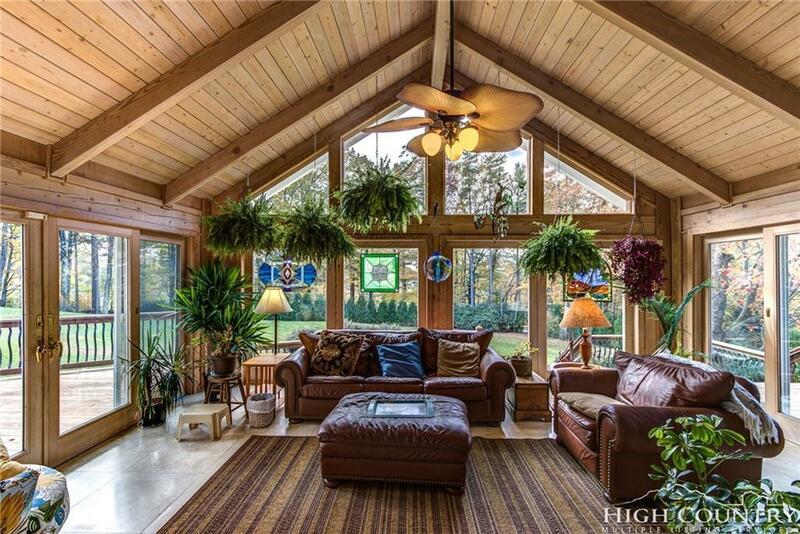 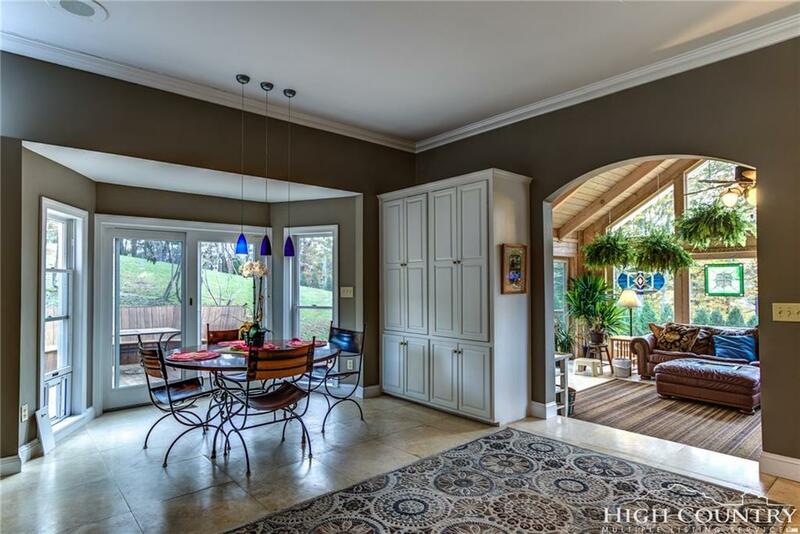 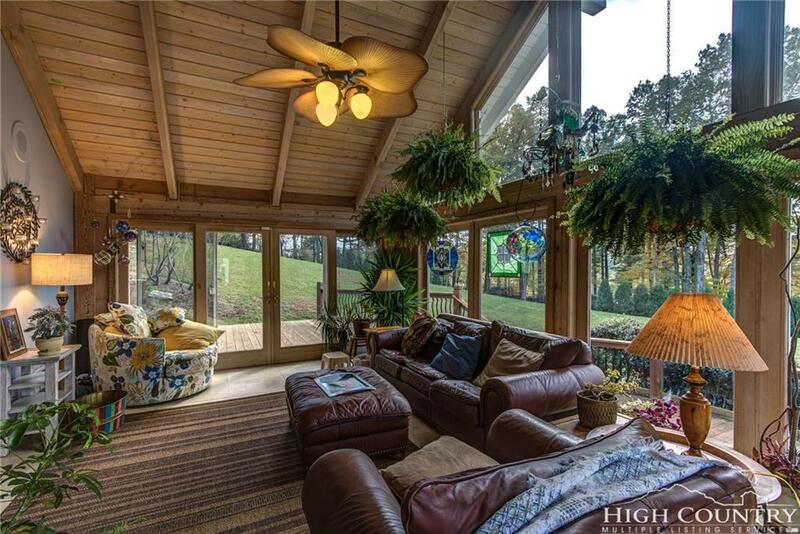 Enjoy coffee or a cocktail in the sunroom adjacent to the large kitchen with fireplace. 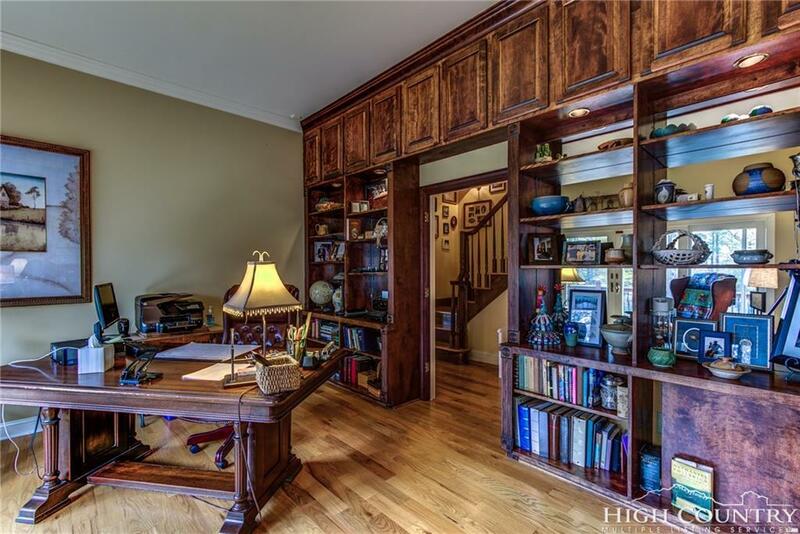 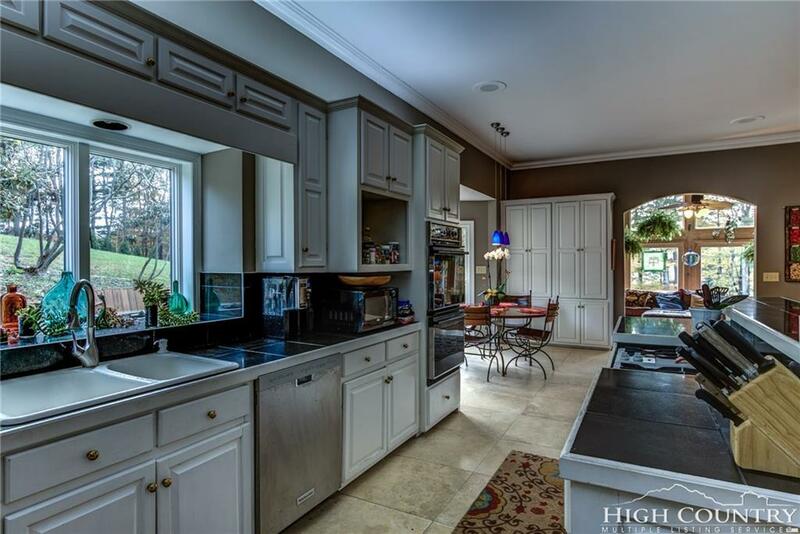 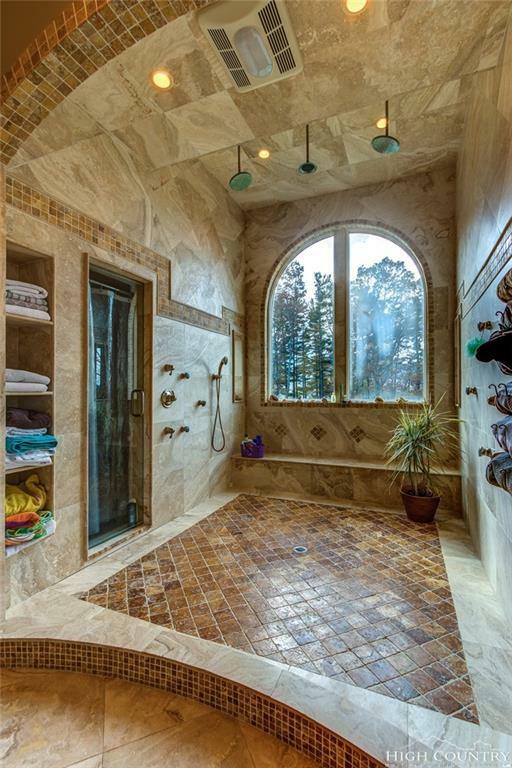 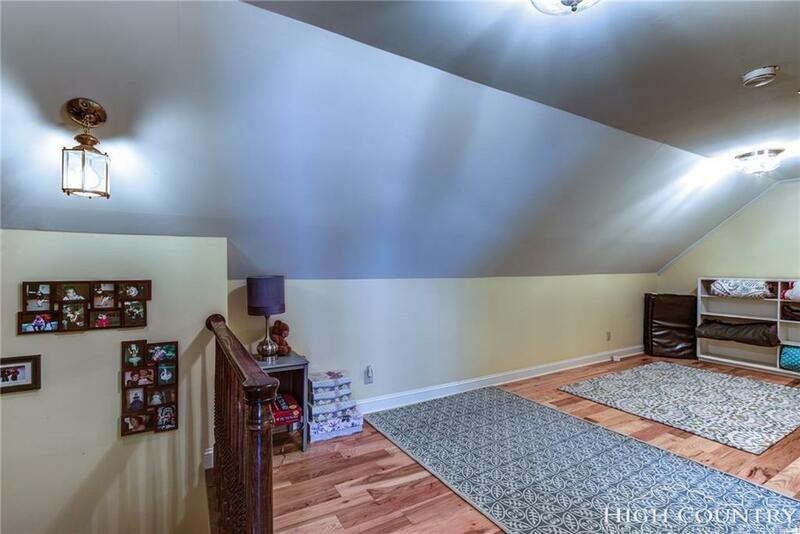 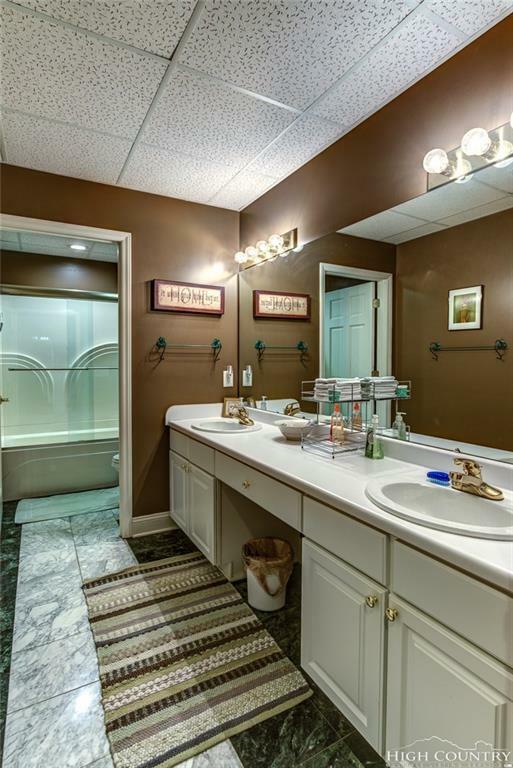 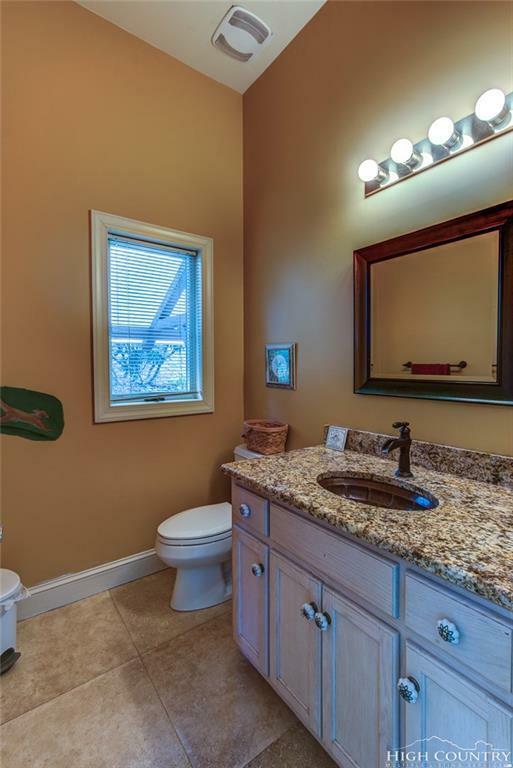 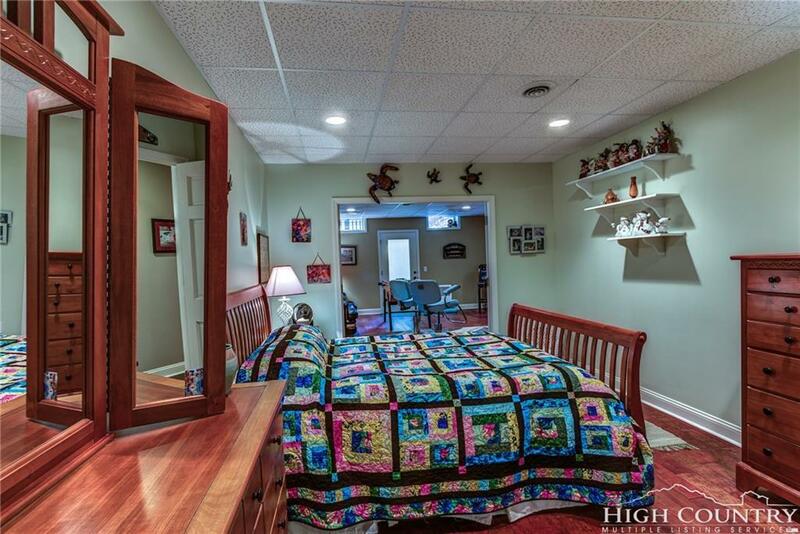 In addition, there are 2 half baths for guests and a huge laundry/craft/mudroom. 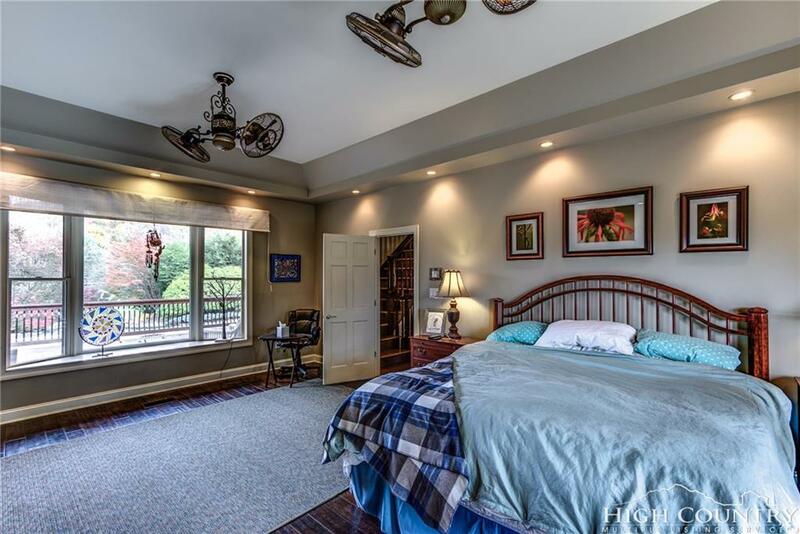 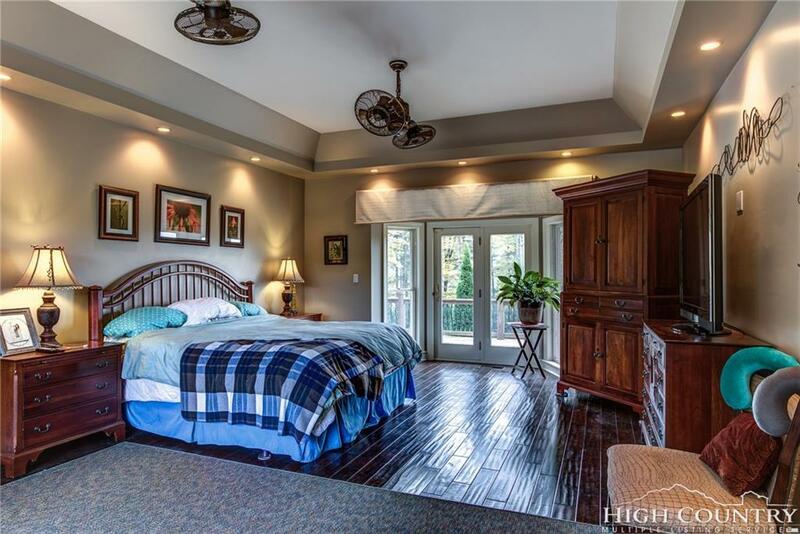 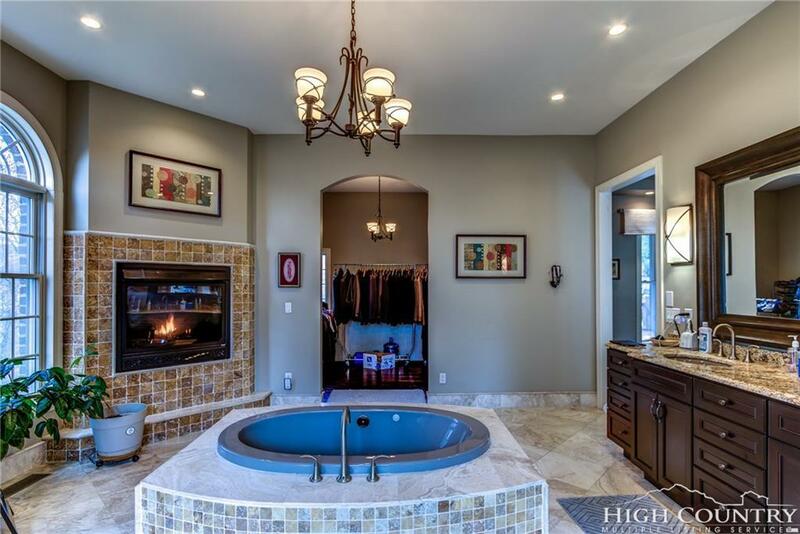 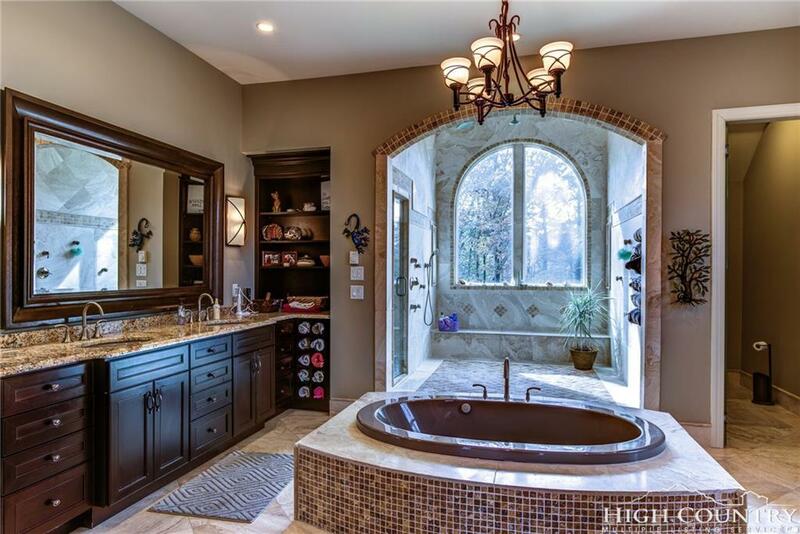 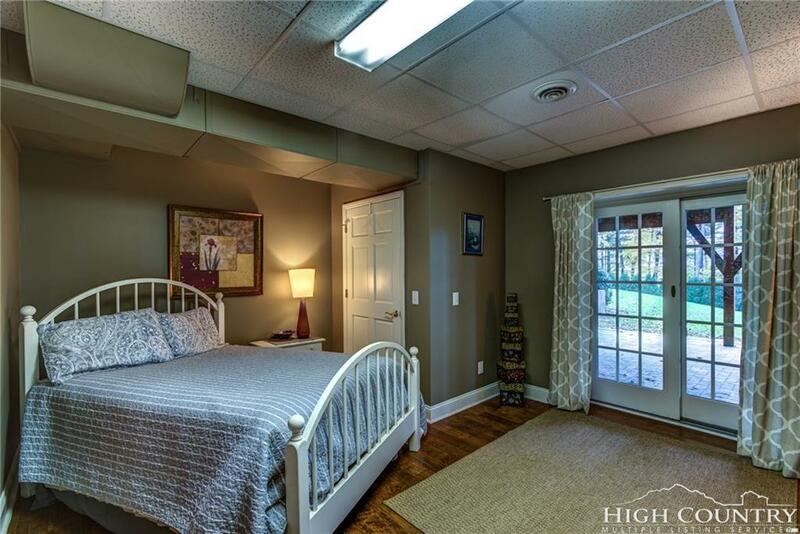 Spacious master bedroom has spa-like bath with jetted tub, steam shower, fireplace and walk-in closet. 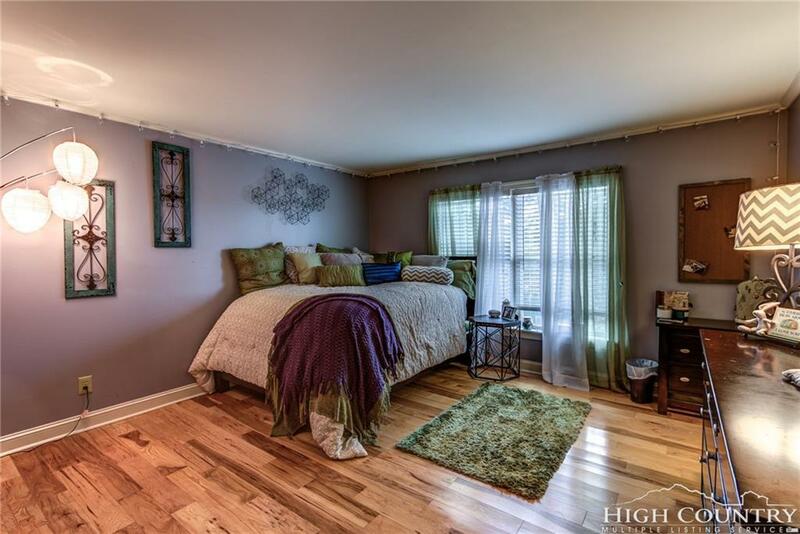 Upstairs, there is a small den, two bedrooms and a shared bath. 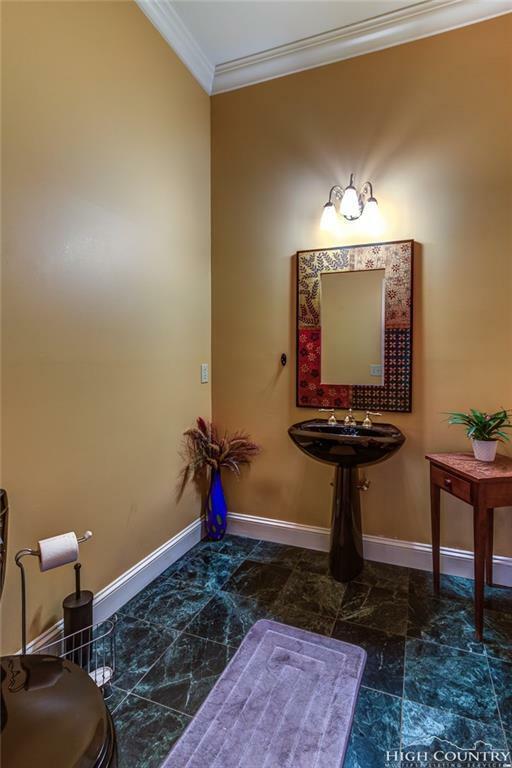 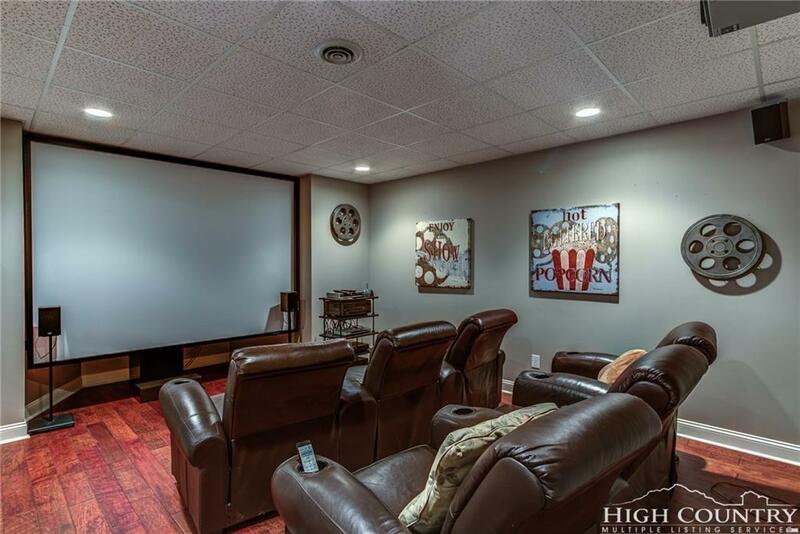 The lower level has incredible theater with game room, full bath and three rooms that have been used as guest rooms. 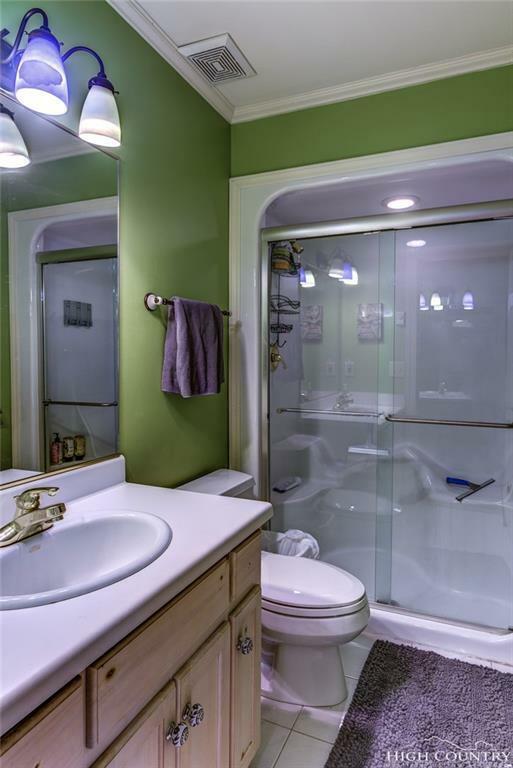 3 bedroom septic. 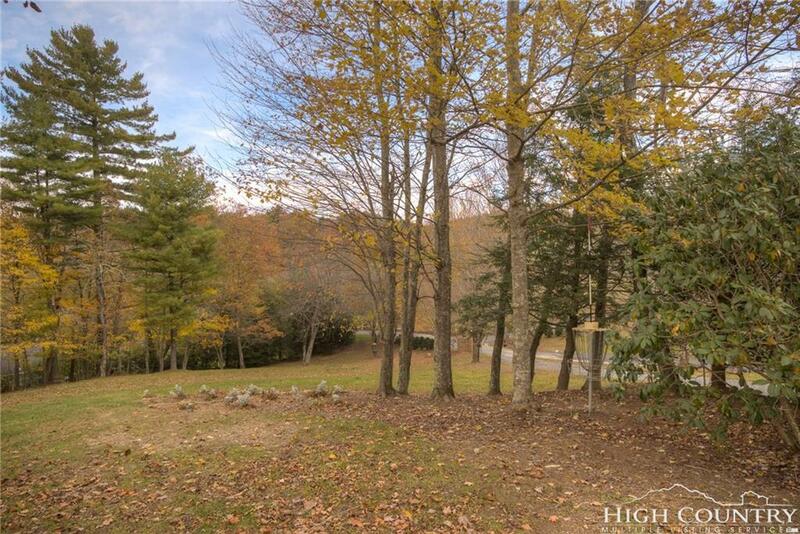 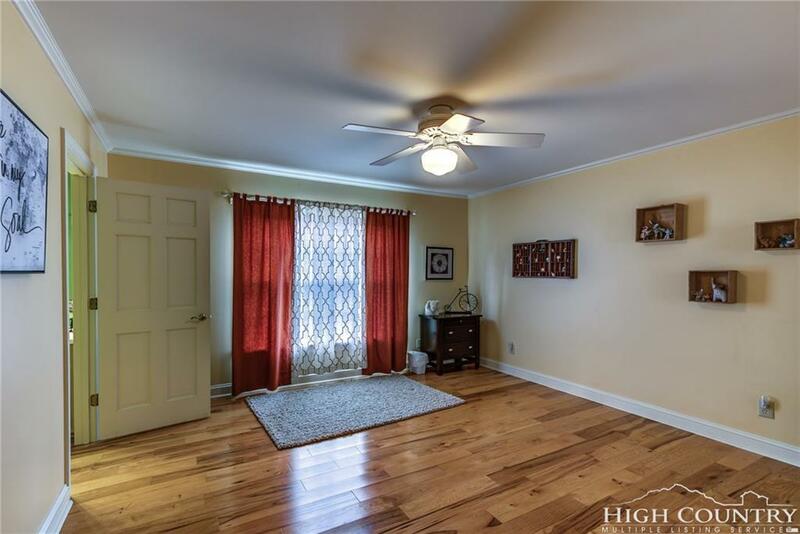 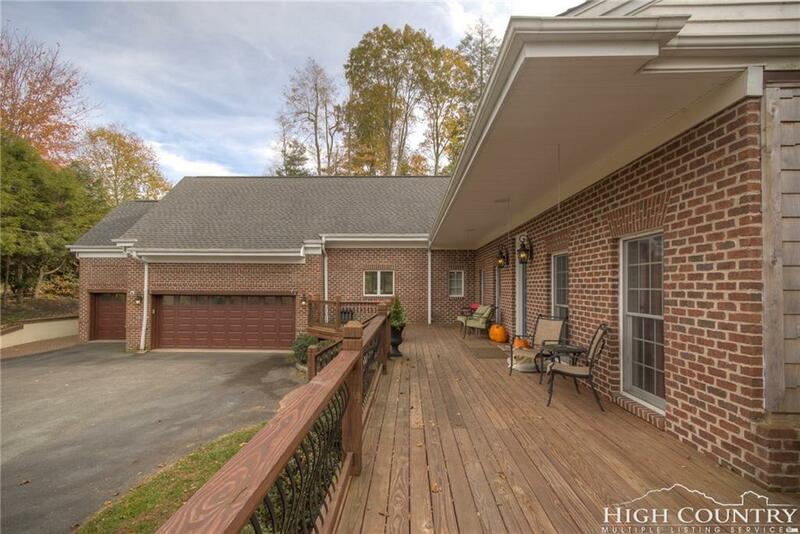 (Septic expansion possible with county approval) This large home feels so welcoming and cozy with tons of storage space and the best yard in Boone.